"European stringed instruments (violin, viola, cello, double bass) were integrated relatively recently into oriental ensembles, to the point where they have acquired a dominant, indeed overwhelming position. I have always taken care to eliminate them as far as possible, for they were designed to play our polyphonic music. In my view their introduction is tainted with an original sin, namely an absurd complex of inferiority to the symphony orchestra. Not to mention, of course, the total incompatibility of the language of the maqām with the equal temperament of the piano, the guitar, and all Western wind instruments. More alarm bells are sounded by the Huffington Post headline which tells us that Hafez Nazeri is "fighting for world peace". In his book The Other Islam Stephen Schwarz describes how: " In most English-language editions of [Rumi's] writings, Islam and metaphysics have been extracted like internal organs from his verse and it falls to the idiom of the gift card". 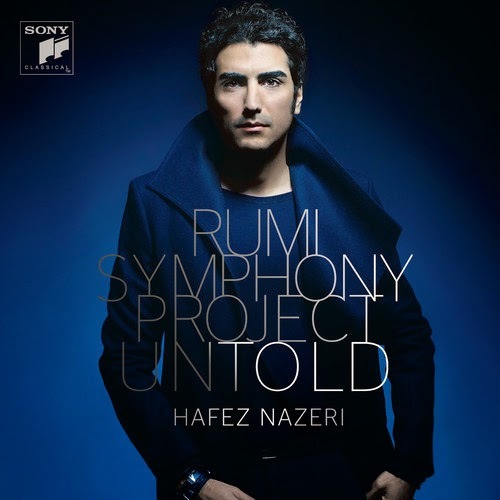 In his Rumi Symphony Hafez Nazeri commits the double original sin of reducing both a profound teaching and an incomparable music tradition to no more than the idiom of a musical gift card. Listen here, or, even better, buy one of Julien Weiss and Ensemble Al Kindi's albums. Also on Facebook and Twitter. No review samples involved. Any copyrighted material on these pages is included as "fair use", for the purpose of study, review or critical analysis only, and will be removed at the request of copyright owner(s). With the admirable Record Store Day just passed I feel guilty about suggesting readers buy CDs online. But I am obliged to point out that many of the double CDs by Julien Weiss and Ensemble Al Kindi are available for less that £10 from their distributor Harmonia Mundi via the amazon.co.uk marketplace storefront.